Over the last seven or eight years Danish film and television has become almost familiar in the UK. The major TV serials from the Danish public service broadcaster DR have attracted audiences of around 1 million each week for BBC4 – far larger than for any foreign language films in the cinema. But the same lead actors, writers and directors have also begun to feature in both ‘Nordic’ and Anglo-American films. Tobias Lindholm is at the centre of much of this activity as a writer and also as a director. Between 2010 and 2012 he wrote 20 episodes of the TV serial Borgen and then the script for the Thomas Vinterberg film The Hunt before writing and directing his own second feature A Hijacking (2012). That film, about a Danish ship boarded by pirates off the Horn of Africa, had lead roles for Pilou Asbæk, Søren Malling and Dar Salim – three of the actors who became known to UK viewers via Borgen and other Danish serials. 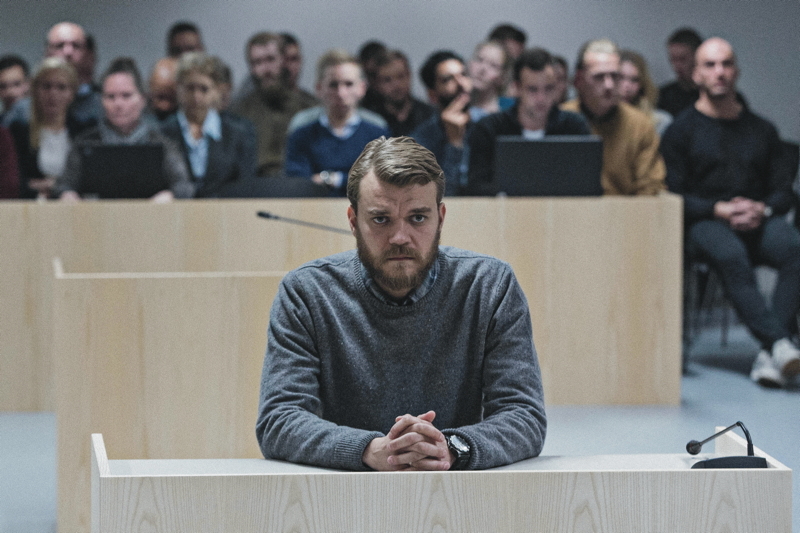 The same trio appears in A War and Pilou Asbæk’s high profile in Denmark is an important factor in how the film works. Danish shipping is central to Denmark’s profile in international affairs, as is the country’s role in NATO and its participation since Iraq in the so-called “coalition of the willing”, including supporting the Americans in Afghanistan. The aftermath of military service in Afghanistan was the setting for a crime thriller in The Killing 2 serial, but A War offers a rather different narrative in which the focus is on one man’s decision in the midst of battle and its impact both immediately and as examined in a tribunal back in Denmark. Anti-war? Realism and personal stories? Tobias Lindholm has made several statements about his film after its selection as the Danish entry for Best Foreign Language Film at the 2016 Oscars – where it was nominated as one of the five finalists. Not surprisingly, perhaps, it received a great deal of attention in the US, including from other filmmakers such as Kathryn Bigelow, director of Zero Dark Thirty (2012). 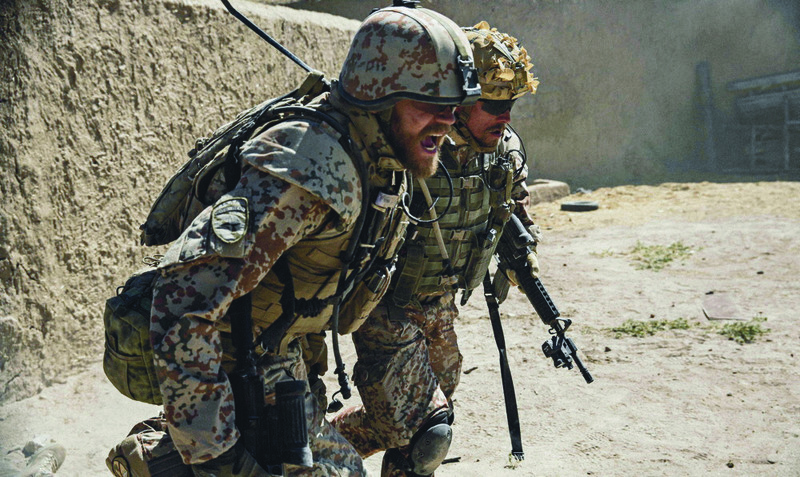 In the same interview Lindholm explains that he developed the script with soldiers who had been in Afghanistan and several of them appear in the film supporting Pilou Asbæk. Lindholm also worked with Afghan refugees from a camp in Turkey (where part of the film was shot, as well as Jordan, Spain and Morocco). Apart from a few key lines of dialogue much of the script was improvised/developed by the soldiers themselves, ‘reacting’ to the situation. In the same way, the interpreter gave Asbæk a ‘live’ translation of what the Afghans said during each scene. Lindholm also used the same technique for the Danish scenes of family life – the children were left to behave more or less as they would do at home with relatively few set lines of dialogue. All of this tends towards a mode of realism often associated with Ken Loach and others influenced by Italian neorealism. The audience I watched the film with seemed to feel that Lindholm did indeed present the complexity of the situation. Claus Pedersen is a company commander in Afghanistan who, because he feels close to and wishes to protect his men, perhaps becomes too involved in the day-to-day routine patrols the men carry out. As a consequence he finds himself in a situation in which he makes an error of judgement – one which is quite understandable but as the senior officer he must be called to account when things go wrong. Back home in Denmark we see the effects of his absence on his wife Maria (Tuva Nuvotny) and his three small children – and we know that whatever awaits him after a tribunal, his family will also suffer. We are asked to think about the deaths of families (men, women and children) in Afghanistan alongside the dangers for Danish soldiers and the effects on their families. Only the deaths of the Taliban (seen here only in long-distance shots) seem to be ‘collateral damage’. But the Taliban didn’t invite the Danes to come and be shot – perhaps there is an argument that the Taliban (and their supporters too) should be humanised? A War is one of those ‘non-judgmental’, ‘apolitical’ films that is, in fact, thoroughly judgmental and political – its assumptions are simply so in tune with official public opinion as to go unnoticed by the filmmaker and critics. There is something in this charge and it is certainly a valid point to make about many of these films about Iraq and Afghanistan. I’m not sure about the Danish polity but it would be fair to say in the UK that while a majority has been opposed to involvement in Afghanistan (post Blair and the Iraq fiasco) there has also been widespread support for the men and women who have been sent to Camp Bastion (where the Danes were also stationed up to 2014). But that seems to be Lindholm’s point. He wants us to sympathise with Claus Pedersen while at the same time considering what he has done and what the effects are. seems to be making an effort to create a national-patriotic mythology, portraying the Danes as hardy, stoical and ‘straight-shooting’, precisely at the historical moment when anti-immigrant and anti-Muslim sentiment is being stoked up in the country. I don’t agree with this and a film which tried to do everything that the WSW demands would be very difficult to produce. Lindholm cast Dar Salim (a prominent actor who was previously a soldier) as Pedersen’s second in command and close friend placed in a difficult position. He also cast Dulfi Al-Jabouri as ‘Lasse’, the soldier whose welfare Pedersen seeks to protect and who unwittingly becomes central to the incident which leads to the tribunal. Is this contrived casting to skew the argument or is Lindholm trying to act positively to represent Denmark’s immigrant communities? I don’t know, but I’m prepared to give him the benefit of the doubt. A War is definitely worth seeing and provides further evidence of the strength of Danish/Nordic production. The film is distributed in the UK by StudioCanal and I’m disappointed that one of Europe’s leading film companies hasn’t made a better job of promoting the film. I couldn’t find a Press Pack and the DVD (no Blu-ray?) is a barebones affair. As a film that deals with military procedures, one of the difficulties is that it is almost impossible to tell what rank Pedersen holds and as someone pointed out to me, in the British Army Pedersen would have been supported in the field by senior NCOs, experienced men with authority. Is the Danish Army different, just like the Danish legal system? It would be useful to know.